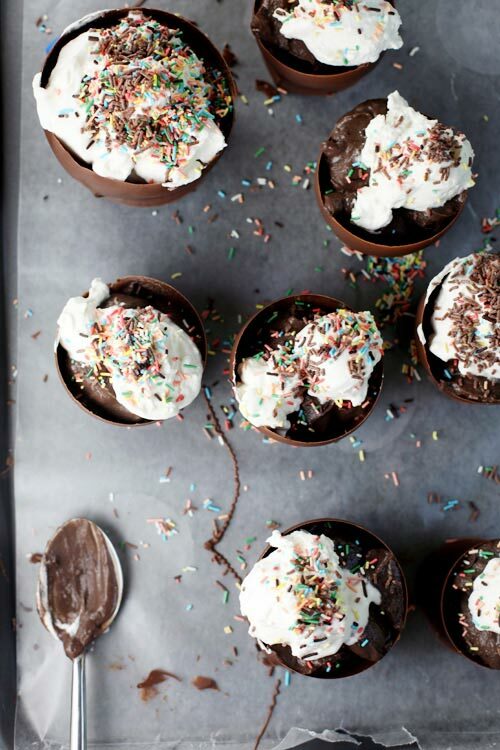 How unbelievably cool would these pudding cups be to make?! 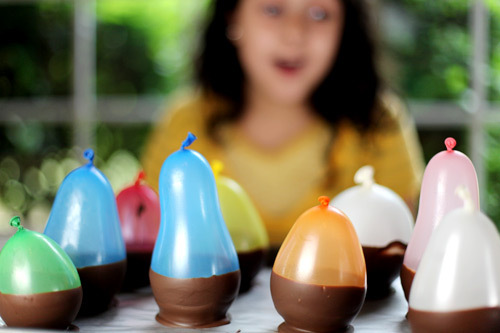 Kids love balloons, and we all know its especially fun to pop them, but who would have thought to dip them in chocolate first? Well the clever Bakerella did. 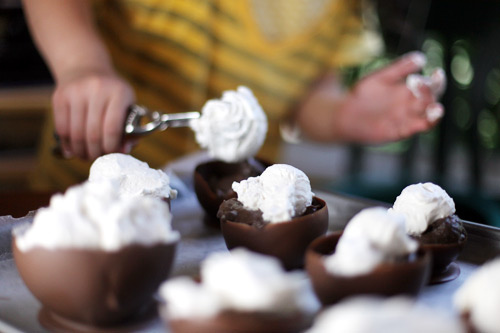 Then filled the cups with goodies like fudge and cream - I'm putting on 10 pounds just thinking about that bit.